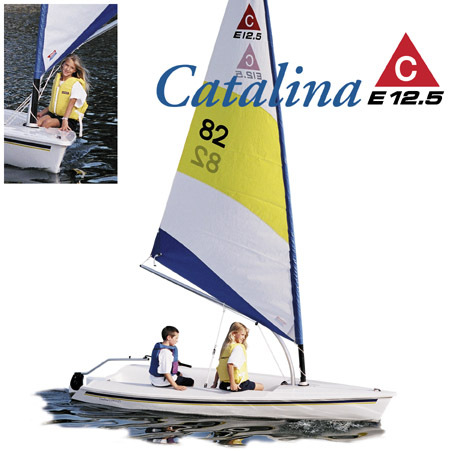 The Catalina Expo 12.5 is a fun machine. Thanks to the SmartRig® and Hoyt boom, getting underway has never been this quick and easy! There are no stays, no chainplates, and no halyards. Putting the boat away is also a snap, as both mast and boom are deck-stepped and removable by hand, without any tools, in minutes. This is one boat every member of the family and friends will want to sail all day long. The tapered one piece carbon fiber mast means more sail power, with less weight aloft. The rotating SmartRig mast acts as a reefing line and furling drum to shorten or increase sail effortlessly. The same line even rolls the sail completely around the mast for storage. 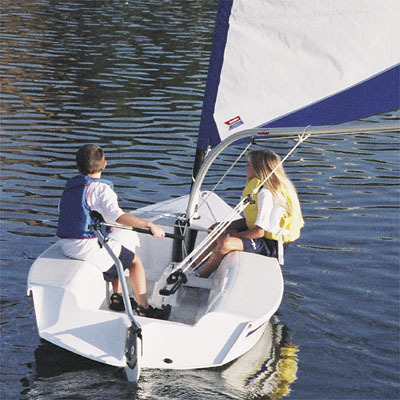 The Expo 12.5 has a seat across the cockpit, perfect for a crew member who is just learning to sail, or just wants a comfortable place to enjoy the ride. Best of all the Expo 12.5 is a Catalina and is built with the same quality materials and attention to detail as every other model we build. 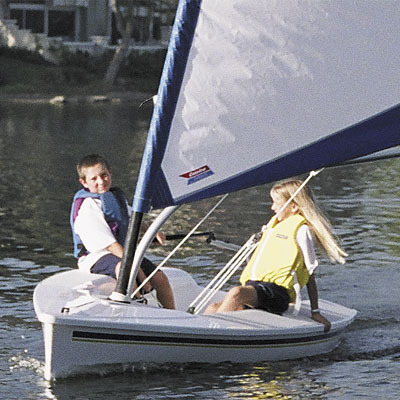 Standard items include a one-piece fiberglass deck with molded-in non-skid and hand laid fiberglass hull. Full flotation inside the hull means the 12.5 is virtually unsinkable. 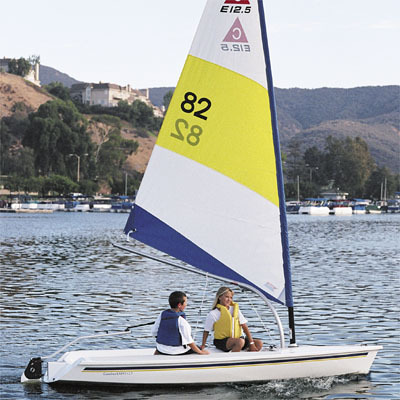 The Expo 12.5 is perfect for the new or experienced sailor who want a great handling sailboat that is non-technical. 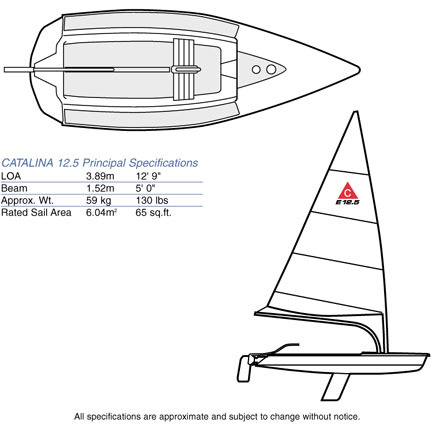 Simple to rig, exciting to sail, the 12.5 is all about fun on the water.